We have just published our Annual Report for 2013/2014 which is available to read here (link). We would like to thank you all for your support over the past year, and hope you continue on the journey with us! Below is a summary of what we have achieved with your help, and highlight of some of the work we’ve done over the past year. All of this, and more, is explored in more detail inside the report. Our work is completely focussed on changing lives through education. Whilst the impacts of schooling are experienced on an individual level, its benefits are multiplied to include families, communities and wider society. Among the benefits are an increased earning potential, a reduction in the infant mortality rate and an increase in average GDP by 0.37%. Below are some examples of the projects we have been involved in during the 2013-2014 period, each of which reflect one or more of our targets. 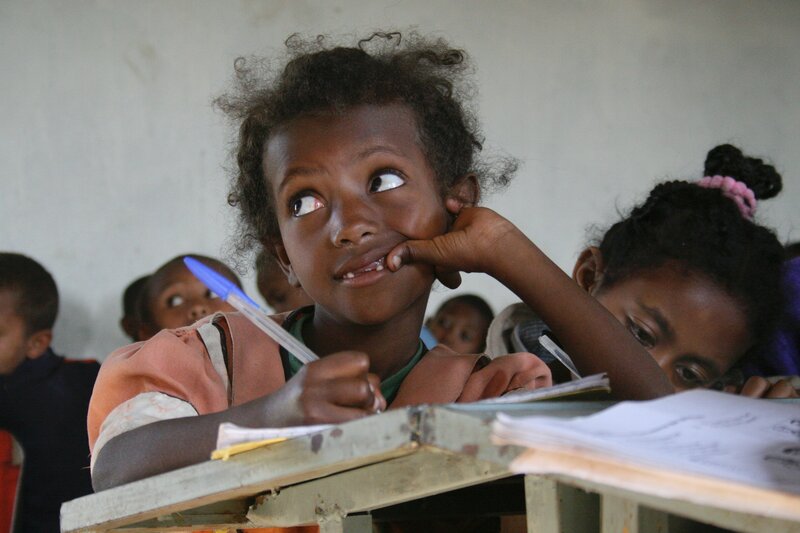 Link Ethiopia supported the establishment of the St George’s School project, an initiative set up by the Northwood School Group here in the UK. St George’s, a not-for-profit non-government school, provides learning opportunities for a large intake of orphans and disadvantaged children from the local area. 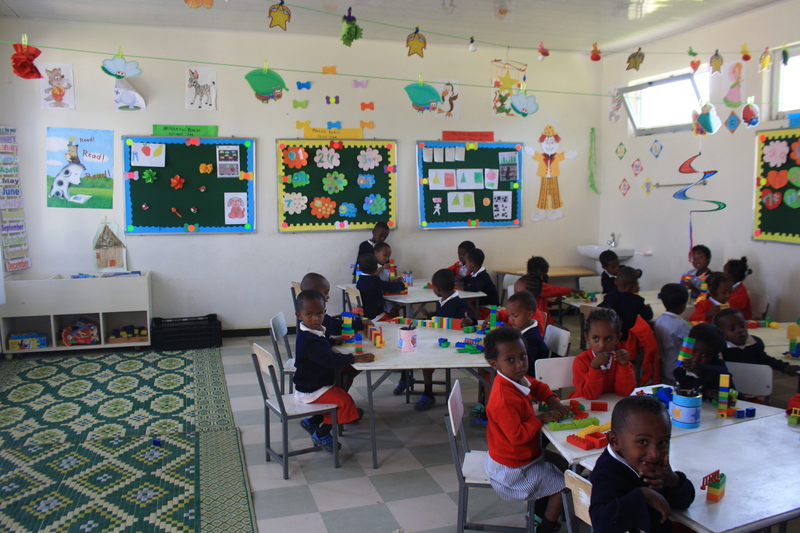 One of the first classes at the new St. George’s School enjoys learning in this colourful and stimulating environment. By March 2014, the core buildings were completed and already in use. The aim is for the project to continue to expand in order to provide schooling until Grade 12. A very big thank you to Broomwood Hall and the Northwood School Group for your vision and direction so far! In February 2014, we installed a water station of 24 new taps at Dudmegn School. Before the installation, the school was managing with just two functional taps for a population of over 2000 students. The wider availability of water in the school has resulted in a higher attendance rate among students. We are hugely thankful for the purchases made from our Gift Ethiopia shop, http://giftethiopia.org, and also for contributions made by the Mandala Trust, in addition to the supporters of our gift scheme. 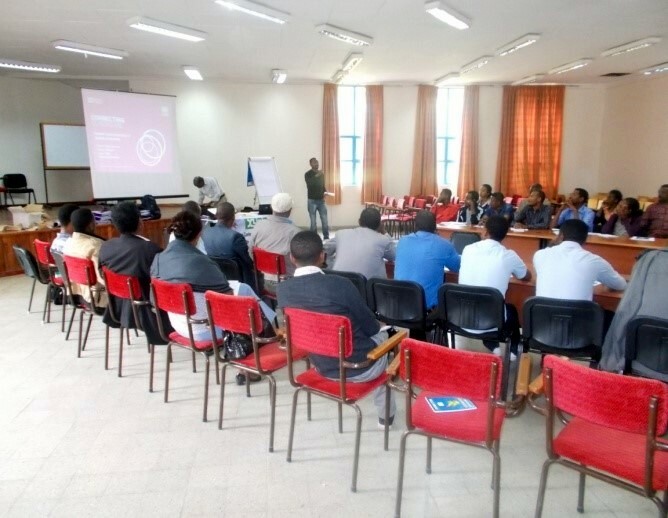 The link between Sincil Sports College and Times Choice Academy in Bishoftu has been especially fruitful, and the partnership provided an opportunity for two students, Kyle and Ryan, to take part in the British Council funded ‘Connecting Classrooms’ exchange programme. This was a great opportunity for the boys to visit Times Choice Academy, which they really enjoyed! We are also pleased to say that Sincil were awarded funding for a second ‘Connecting Classrooms’ trip. Well done and thank you to both schools for maintaining a strong and successful partnership. 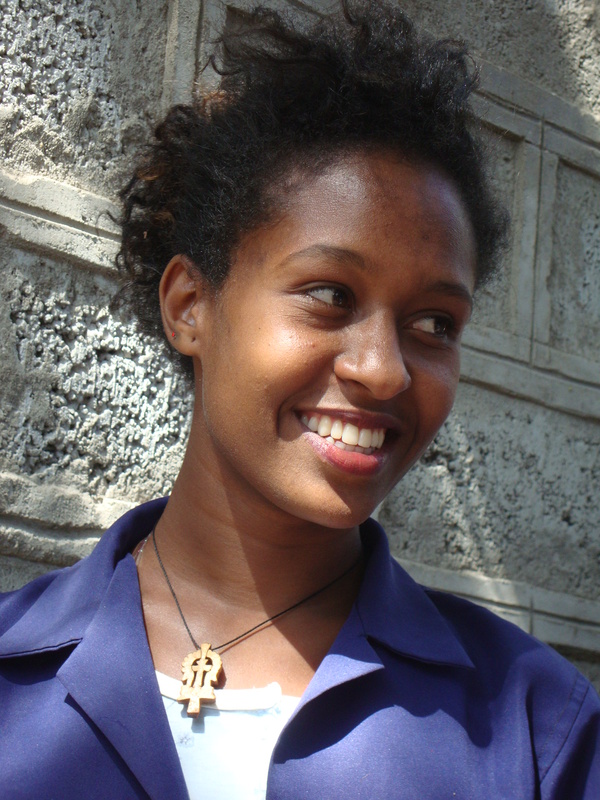 Tejitu, an 18 year old young woman from Bishoftu, has been sponsored by Link Ethiopia for approximately 5 years. Through our School Links, Volunteering and other project programmes, she has been able to gain confidence in her English language skills, engaged in global learning with students at her link school in the UK. She also helped to coordinate a ‘World Challenge’ trip at her own school, which helped her to further develop her global outlook and grow in confidence. We are extremely proud of her achievements and we look forward to seeing her fulfil her ambition of studying Biology at university. Investing in quality teachers is central to providing a quality education. During the 2013-2014 year, we were able to train grade 1 and grade 2 teachers in the phonics method. We have observed fantastic results so far, among them a 77% increase in the number of students using the library and a 65% increase in test scores for students of the trained teachers. You can flip through the report below (click in the middle to view fullscreen). Enjoy! Click here to see the full report and hear about the above achievements in detail, as well as the results of our work on global awareness, learning resources, and inclusion. Once again, we want to thank our link schools for your dedication, fundraising and ideas – none of the above would be possible without your contributions. We look forward to future engagements and successes!